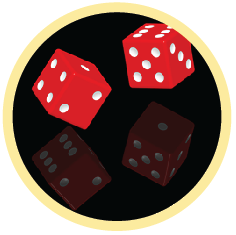 Probability quiz for 1st grade students online – learn more, less and equally likely. Also learn to determine if a phenomenon is certain, probable or unlikely. Probability deals with likelihood or unlikelihood of something happening. This quiz contains outcomes of spinning a wheel, picking balls at random with different colors and more. 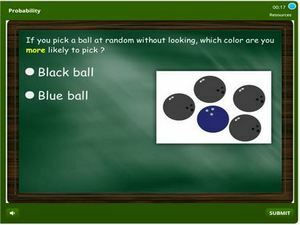 Click on the activity and start reviewing first grade skills on probability. The score can be tracked hence making this activity a useful tool for educators and parents of 1st graders.